Find the best Cyber Monday deals for Destiny 2 on PS4, Xbox One and PC. 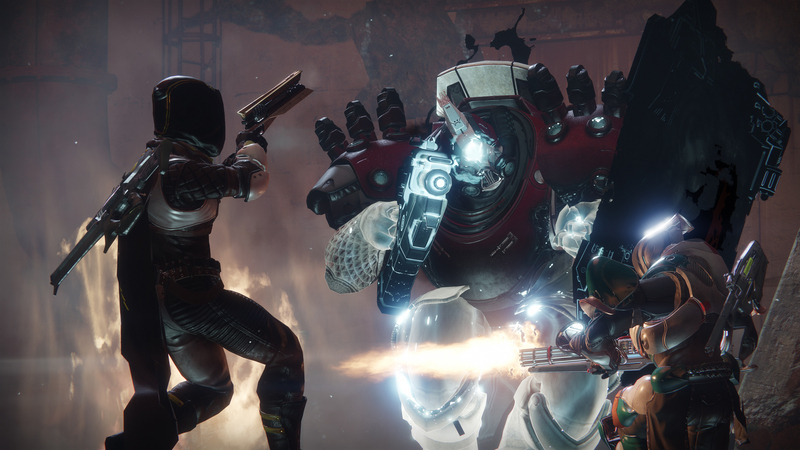 Destiny 2 hasn’t been out for that long, but already it’s seeing some sizeable discounts because of both Black Friday and Cyber Monday. It’s a shooter that will likely be relevant for the next three years if it’s anything like the last, so grabbing it at a discount this early into the cycle might be the best gaming deal you get this holiday season. Those deals are likely to change over the day and possibly for the next few days. If you’re buying on console and plan to get the Xbox One or PS4 editions, it looks like Amazon has the best deals for you right now. Should you have a nice gaming PC, though, Battle.net is offering the biggest savings with the Digital Deluxe edition of Destiny 2. Destiny 2 is only about a week away from releasing its first DLC, the Curse of Osiris. There will be another DLC that comes out in the spring, completing Bungie’s plans for the expansion pass. However, the game will continue to receive updates and will get more DLC that you can buy separately beginning in September of 2018. That is, if the original Destiny has taught us anything. For more on the game and how to maximize your time in it, visit the Shacknews Destiny 2 complete strategy guide.